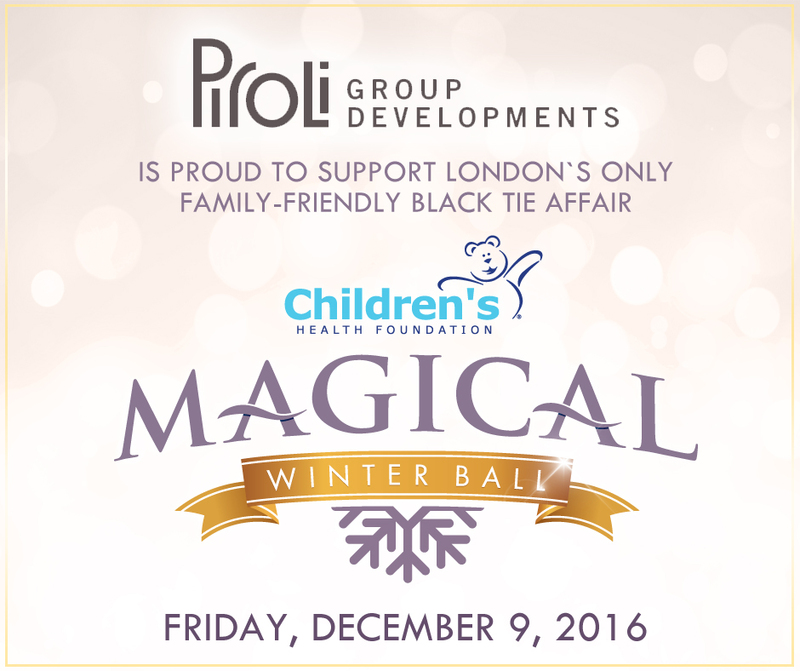 Piroli Group Developments is proud to support the Children’s Health Foundation Magical Winter Ball in December. The event encourages families to come together in support of paediatric patients who access the Child Life Program at Children’s Hospital, London Health Sciences Centre. Please see link below to learn more!